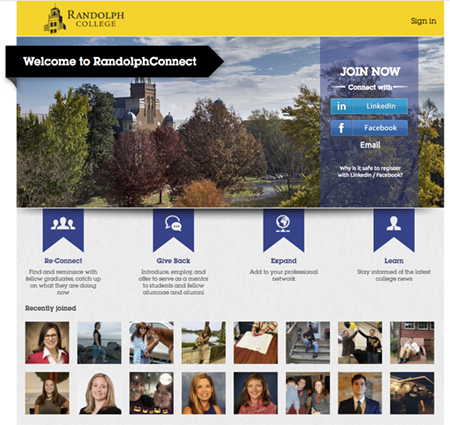 Legacy Links is a program to honor our heritage and connect your children with Randolph College. A tradition that started many years ago with a card from the Association to congratulate alumnae families on the birth or adoption of a child has expanded. The Legacy Links program sends special gifts and information to legacies of alumnae and alumni. a Randolph College keychain at age 15. When your legacy takes an admissions tour as a prospective student, she or he may choose a special gift from the Association. If you would like to include your child in the Legacy Links program, contact Jen Brestel, 434-947-8102 or jbrestel@randolphcollege.edu.